A beautiful tribute spray with white lilies, germini flowers, gypsophilia and purple blossoms complimented with forest fresh greens. 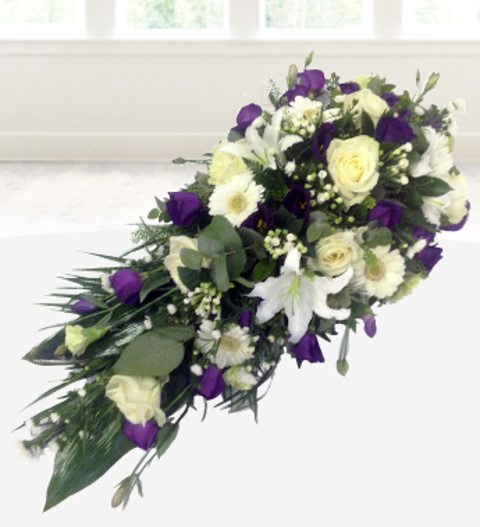 This is the ultimate in sympathy spray design hand arranged by our professional florists. All funeral arrangements are hand delivered direct to the funeral or funeral directors.